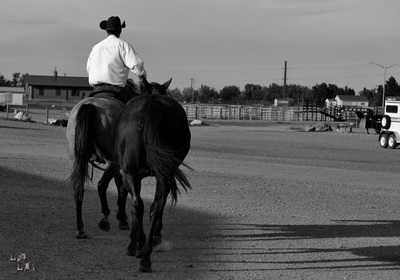 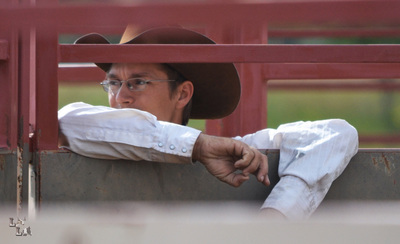 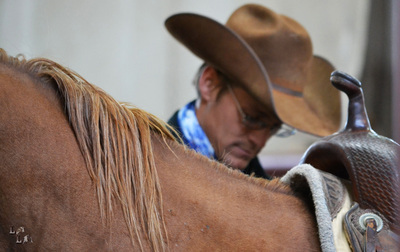 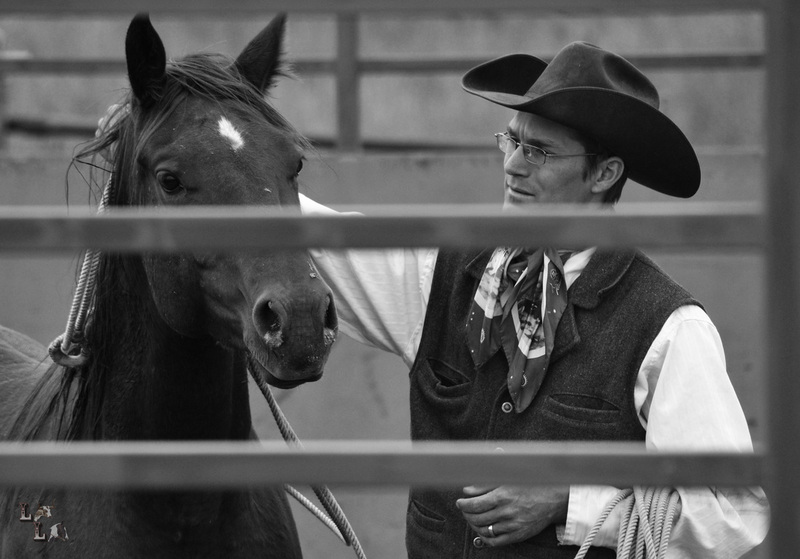 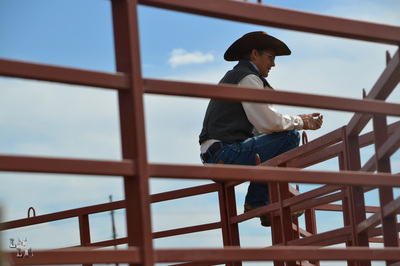 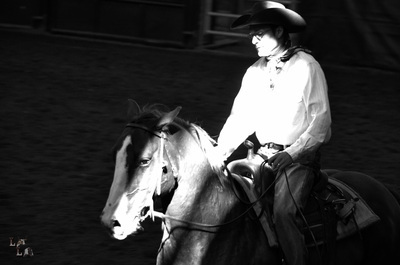 John Snyder is the instructor for Colorado State University’s colt training class. He brings a wealth of knowledge to the class from being a graduate of CSU’s equine sciences program himself to working for trainers John and Josh Lyons, the legendary King Ranch and being the sales fitting manager for the Four Sixes Ranch. 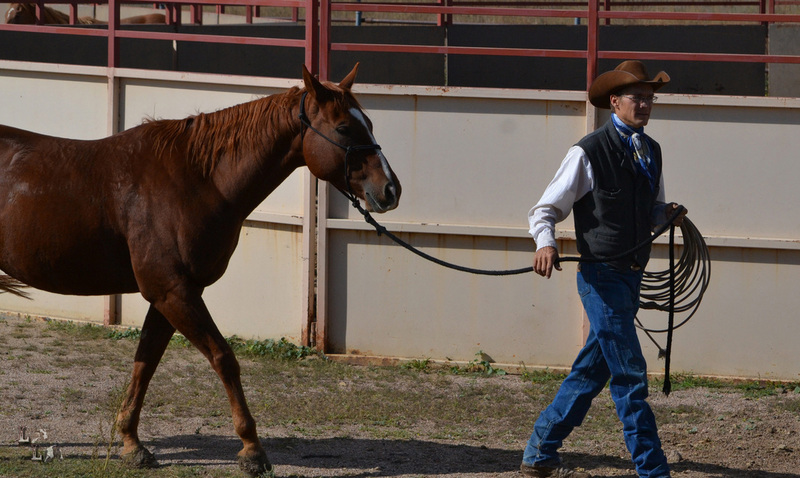 Colts for the class are consigned to program from ranches across the west. 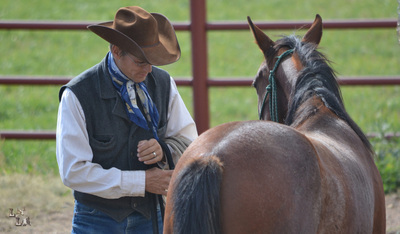 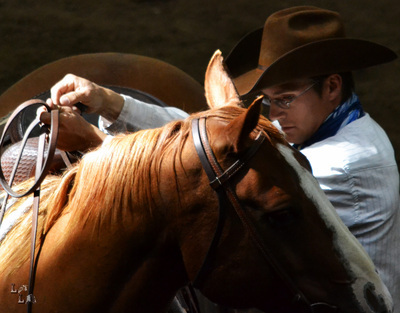 This is a hands-on class where students work one-on-one with their colt for the year until it is sold at auction at the end of the spring term. Domesticated horses retain their prey behavior and trainers work within this framework. They guide the colt from responding to everything out of fight or flight behavior to thinking through new situations and responding to them without fear. 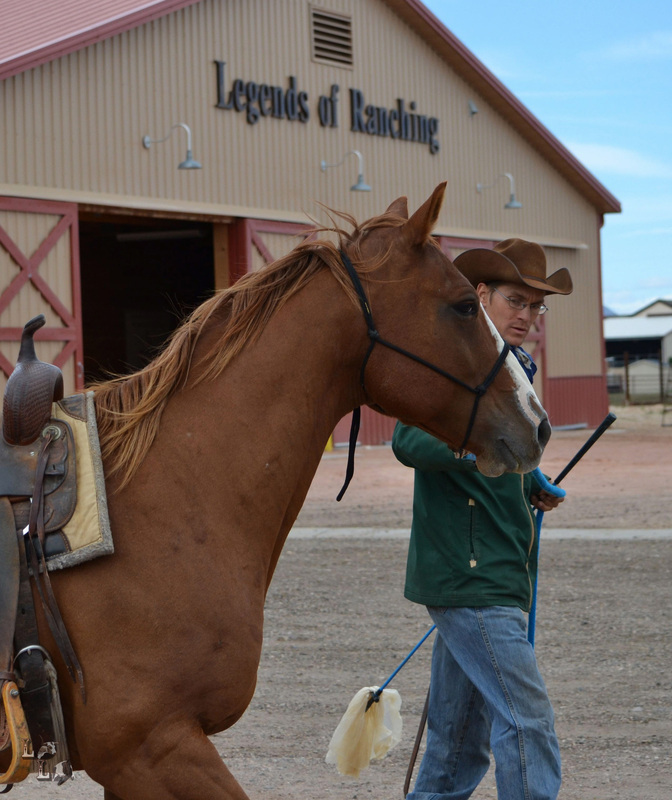 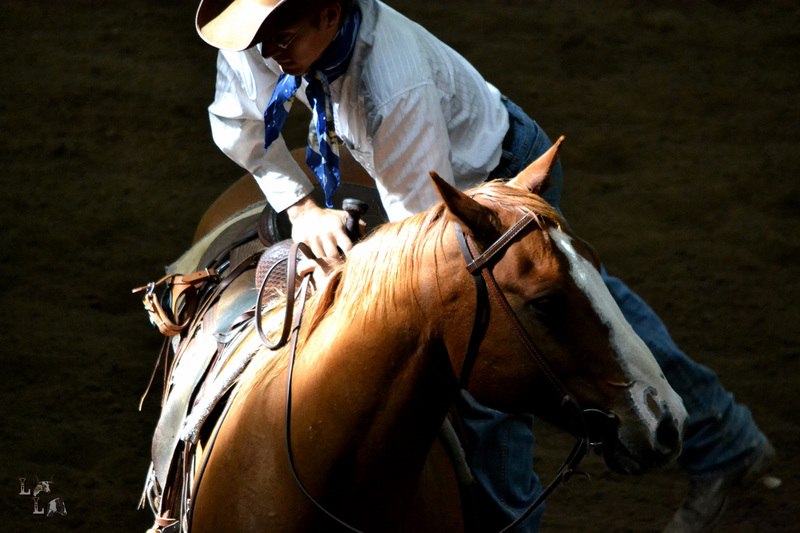 The process includes simple things that many would take for granted in experienced horses such as being haltered, groomed, wearing a saddle, and even being ridden for the first time. 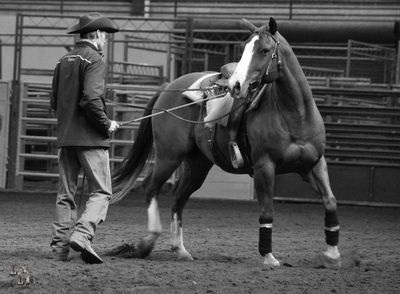 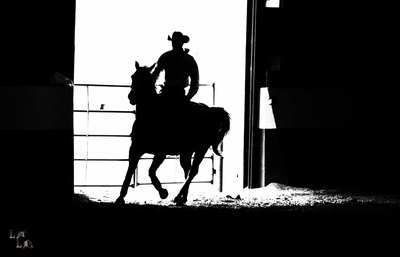 When Mr. Snyder steps into the round pen to work with a colt, the observer sees him advance and retreat until a small change occurs in the colt. 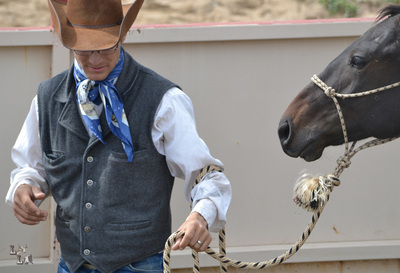 Once he realizes Mr. Snyder is not a predator, then the training progresses with the introduction of new objects such as a flag at the end of a pole or a rope. 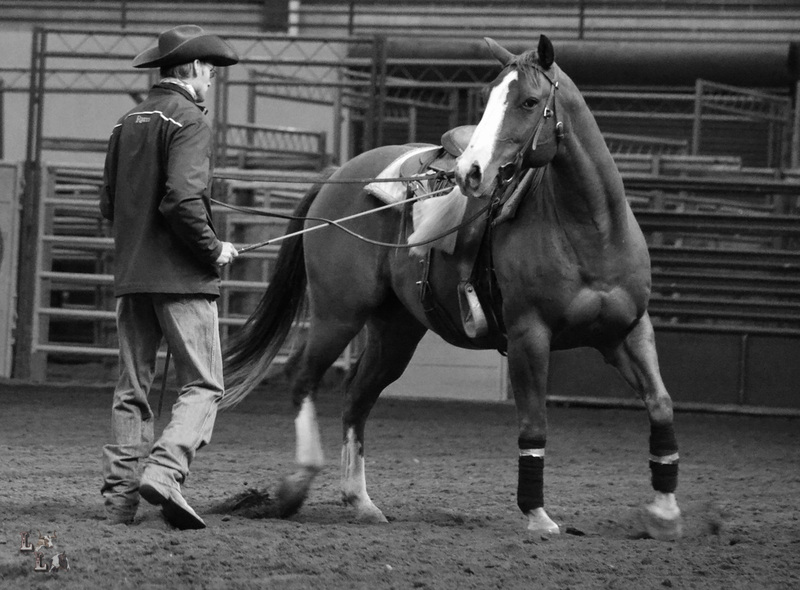 All the while Mr. Snyder is assessing small movements of the ears, eyes and muscles looking for the colt to make the slightest change signaling that he is thinking and not just reacting in fear. 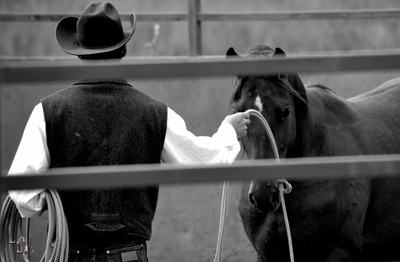 A dance develops between the two along with trust.